Prominent & Leading Manufacturer from Ghaziabad, we offer bar cutting machine, bar cutter up to 40mm, rebar cutting machine, steel bar cutting machine and bar cutting machine gq-50. 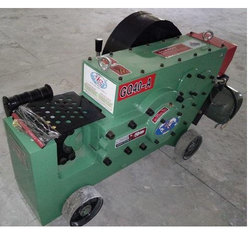 Machines designed to international standard base. Heavy duty gearbox with oil bath. 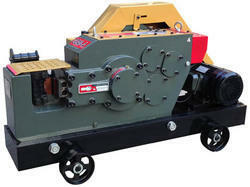 Bar Cutting, Bending Machines are ideally suitable for large production. It’s maintenance is low cost easily repairing on site. Easy availability of spare parts. High performances and long durability. All gears are resistant to any type of work and our long experience in treatment made us choose he best one for each component. All gears and shafts are produced by our own CNC processing center, high accuracy of size and excellent quality. High hardness blade and connecting rod. Reinforced enclosure, compact structure, movable wheels.